An exquisite offering! Brand-new home custom designed & built with no detail over-looked. In the heart of Reading's West Side, only a stunning lot such as this can appropriately carry such a home. From the spectacular stone wall that boarders the front, to the expansive back yard, you won't find this level of perfection anywhere else. Step on in, & you will be breathless over the grand-scale entry, with thick moldings above, & an artistic marble patterned floor below. From here, the back of this home opens up to what is sure to be the most beautiful kitchen with every high-end appliance you could ever dream of, a walk-in pantry, & dramatic open spaces with fireplaces, built-ins, & unmatched finishes. A fantastic mudroom is right off of the 3 car garage, while the sumptuous first floor master suite is fit for royalty...the master bath is just beyond words! Upstairs, you will find 4 more bedrooms, 2 baths, & an office. The HUGE walk-out LL is ideal for theater & billiards. It's AMAZING! NEW CONSTRUCTION AT JOHNSON WOODS CONDOMINIUMS - Gorgeous TOWNHOME with spectacular Conservation Land views from your living room and back deck. Wonderful white kitchen (with inset doors) , 48" Range, pot filler, island, and so much more. 4.5 Baths, TWO laundry rooms: One on first floor for a stackable, 2nd floor laundry for full size set up. Large entertainment area , Two 2nd floor lofts for office space or hobbyist or both. Finished basement. Gracious living at it's best!! Beautiful Newly done West Side Renovation, All New Paint. Wood Floors Throughout. White Kitchen w/ Quartz Counters! Everything is new! 2.5 New Baths, 4 Bedrooms. Culdesac location, convenient to i93/i95. Updated heating system, central A/C. Finished Basement. Large Lot. Charming Colonial situated in a desirable location just a short distance from the public transportation, library, town center and schools. The first floor offers a spacious living room with a wood burning fire place & custom built ins, a formal dinning room, lovely kitchen & family room combination with a second fire place & skylights, a four season porch, first floor laundry room, mudroom & a full bath with a shower. The second level has three bedrooms & another full bath with additional 300+ sq feet of finished space in the lower level. Pella windows throughout (two older windows) Central AC, Irrigation system, a two car detached garage, a fenced in landscaped yard with mature plantings, blue stone patio & stone walkways. Some of the many improvements include~2015: Roof replaced & Skylight added- 2014: House repainted, Hot Water tank & Driveway seal coated - 2004: redesign and renovation of the first floor & the family room addition, new clapboards for entire exterior of the house. Listing Sold by RE/MAX On the River, Inc.
You cannot beat this location! Situated in one of Reading's most desirable neighborhoods, everything you need is w/in walking distance: the library, Birch Meadow Complex, tennis courts, playground, even downtown & commuter rail. But it's not just the location you'll love, wait until you see the kitchen! Renovated just a few years ago, the owners spared no expense when designing the heart of this home: tons of counter space, walk in pantry, 2 wall ovens, gas range, large breakfast bar, & loads of natural light. Conveniently open to dining & spacious living room, hosting large parties or holiday dinners will be a breeze! Find more convenience w/ 1st floor master, laundry, & renovated full BA. 2 large bedrooms w/ additional full BA round out 2nd floor. Within the last 9 years, all new windows, Buderus furnace, roof, composite fence, Abaco deck, extensive masonry work & the list continues. Now is the time to find your way home to Reading & see for yourself why it's the hottest zip code! Reminiscent of Currier & Ives, this perfectly proportioned Cape Cod sits majestically atop a gentle knoll, far off the road...its presence is eye catching the moment you arrive. From the driveway, peeks of the over-sized, level back yard can be captured through the open breezeway. You will be drawn toward the brick patio, covered deck, play area, & even the Bocce Court. Come on in...where the home cook or entertainer will appreciate the large, updated granite & stainless kitchen with tons of maple cabinetry. From here, enjoy the comfortable den, a warm & welcoming dining area, & the most charming living room with stunning mantled fireplace. This home features a surprisingly open concept, making it ideal for everyday living, & for those special occasions. The second floor provides 3 bedrooms, each with personality & interest...built-ins, shed dormers & hardwood floors all add to the charm. The lower level is nicely finished with a playroom, guestroom or office & 3/4 ba. It's all here! Say "YES" to the address! In the HEART of the West Side, where houses are selling for over 1 MILLION dollars, this much loved home is ready after 42 years for its new keeper. It's just what you imagine when you think of the idealic Cape Cod home. Pretty as a picture, you will love the side entrance...the perfect mud-room to leave your boots & scarf! From here, you are lead to a NEW kitchen with beautiful cabinetry, stainless appliances, granite counters, subway tile back splash, great dining area & complete with the most charming original corner hutch. The LR is bright & welcoming, & features a stunning mantled fireplace. The first floor is filled out with an updated 3/4 bath, office, & third bedroom (used as a den). Upstairs are two more generous sized bedrooms & a full bath with spa tub. The finished LL is a great space to watch the big game, play with the kids, or entertain at your VERY COOL RETRO built-in bar! This walk-out basement allows for indoor/outdoor living at its best! Introducing 20 Mark Ave. nestled in the quiet & cozy Birch Meadow neighborhood of Reading! Very nice 1/4 Acre Corner Lot. Located in close proximity to DOWNTOWN, LIBRARY, YMCA & COMMUTER RAIL, this Charming Cape provides 7 rooms, 4 BRs, 1.5 baths & 1,620 sq ft. 1st Floor highlights LR w/ brick fireplace & picture window overlooking the front yard, DR w/ built-in corner china cabinet leading into a GORGEOUS Eat-In Kitchen w/ direct access to the backyard. SS Appliances (2018), Granite Counters, Hickory Cabinets w/ ample storage. Oak HW Floors. Half Bath w/ tile floor off DR & 2 BRs. 2nd Floor features 2 BRs including Front to Back Master BR & Full Bath. Many Upgrades including Heating System (2017), Roof (2016), Bathrooms (2007), Kitchen (2006) totally renovated & layout reconfigured. Windows all replaced within last 10 yrs. Multiple flowing spaces perfect for entertaining both inside & out! OUTSIDE SPACE a Huge Asset w/ patio, large backyard, driveway w/ garage parking. Won't Last! Back on Market due to financing challenges. Don't miss this MOVE-IN CONDITION, 3-4 bedroom home on LEVEL/DRY 1/2 ac lot. Enjoy lovely sunset views from the privacy of your screened porch. EXTENSIVE UPDATES THROUGHOUT : NEW gorgeous SOLID OAK and ENGINEERED OAK FLOORING, FRESHLY PAINTED INTERIOR, CENTRAL AIR CONDITIONING, NEW lighting, NEW granite countertops, STAINLESS appliances, BUDERUS gas heating, NEW LANDSCAPING, NEW SLIDING DOOR and lots more! The main level is a terrific entertaining space year round and flows nicely to the fire placed family room. Plenty of options for setting up your big screen! 3 bedrooms up and a 4th lower level bonus room with closet and walkout for your office/guest room. Popular neighborhood with easy access to commuting routes, Killam playground and school, Burbank Ice arena. Oversized one car garage, newer architectural roof. Priced significantly below assessed value. Unbeatable opp. to build equity! Commuter's Dream! Move-in ready starter home! Charming cedar-shake cape with possibility to make smart upgrades over time. The 1st floor offers hardwood floors throughout, a spacious greeting room, recessed lighting, eat-in kitchen, formal dining room, updated full bathroom, 3rd bedroom/office, & a lovely family room! The family room is the gem of the home w/ its centrally located working fireplace & wall-to-wall windows overlooking conservation land and gorgeous country-like seasonal views from a convenient suburban location! The 2nd floor has 2 cozy bedrooms, both w/ hardwood floors & one with a sun-drenched cedar-lined window seat. The semi-finished basement w/ built-in storage & cedar closet has so much potential...workout room, workshop, man cave...you decide! 2008 HE furnace, burner & boiler replaced in 2018! 200 amp electrical. Tons of shopping nearby! 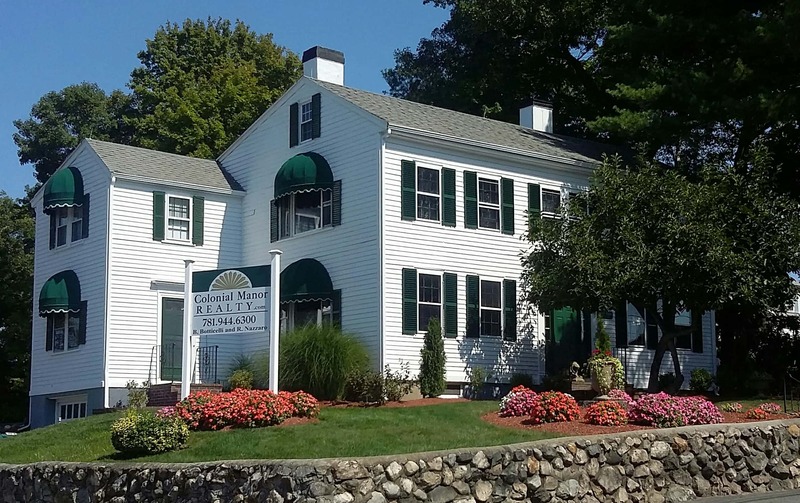 Easy access to highways, approx.1 mile to Reading Commuter station and 12 miles to Boston!